The team identified two sets of insights from research. Primary research indicated to us that when looking for a job, today’s top talent wants a combination of professional development, personal growth, and the chance to make an impact on something greater than themselves – the combination of these three is what drives fulfillment. Secondary research indicated a rise in project-based work and a veering towards the gig economy. 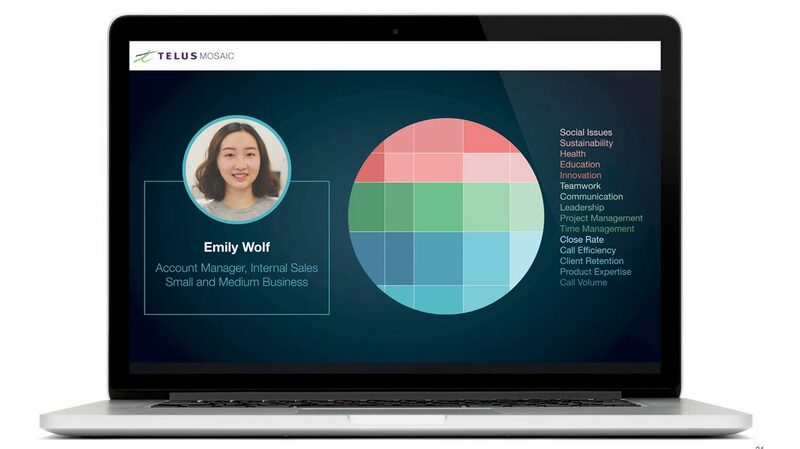 The team challenged themselves to think about what project-based work might look like within a global corporation like Telus, and how that work could drive fulfillment (in personal, professional, and impact-related development). This led the team to Mosaic, which is the infrastructure for project-based work within a global corporation. Mosaic reframes the work an employee does from a core role to a series of projects, and gives them a tool to personalize and craft their own development. 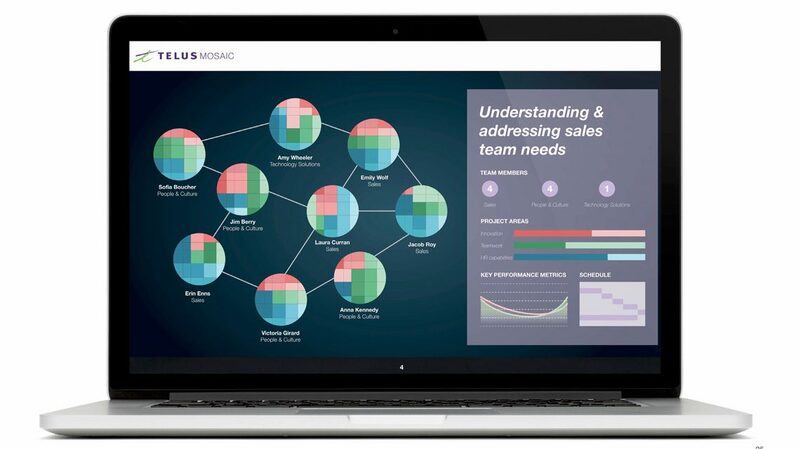 At the employee, team, and company level, Mosaic allows a company to track development and build effective teams based on prior skills and experience. It can suggest upcoming projects to employees based on the skills they are interested in developing. Below is the final deck the team presented at the Rotman Design Challenge.